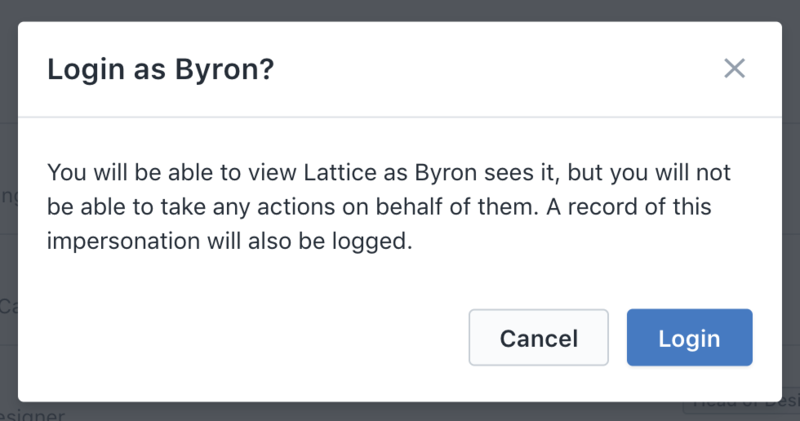 Lattice gives full access admins the ability to impersonate their colleagues. 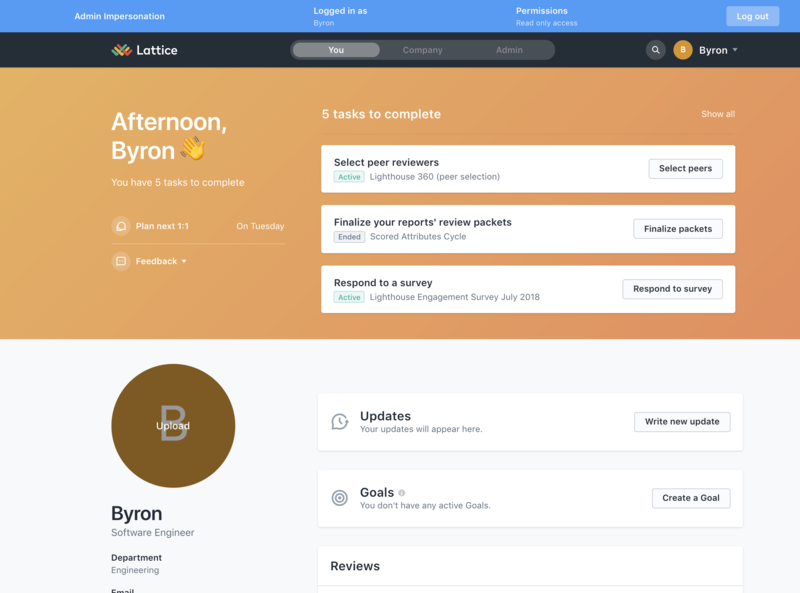 This feature is meant to help admins assist fellow colleagues with Lattice navigation, functionality, and troubleshooting. Admins will see a blue banner on the top of the page letting them know that they're impersonating, who they're logged in as, that they have read only access, and a log out button. 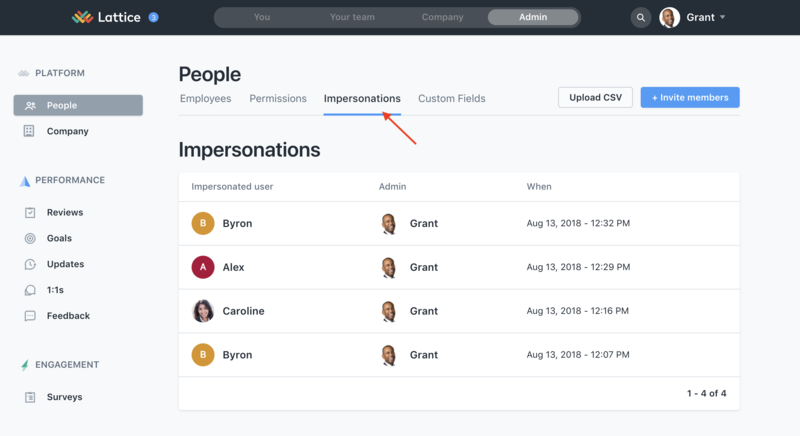 Admin Impersonation is a read only impersonation. 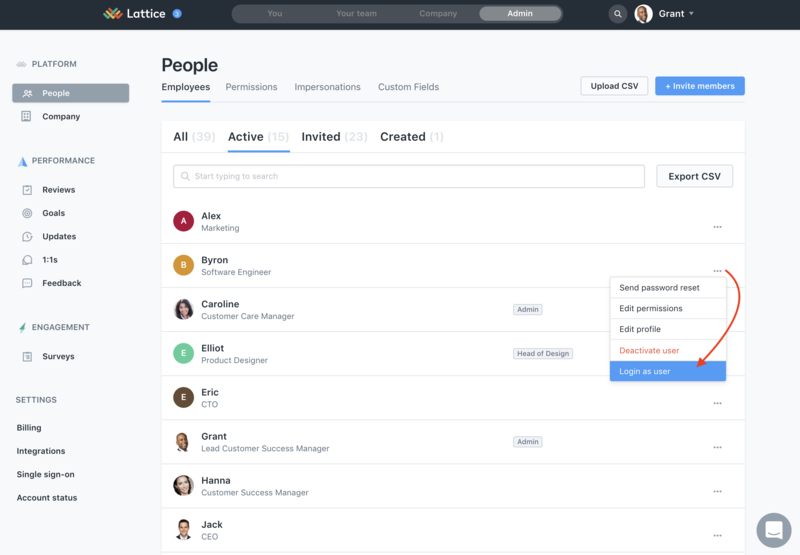 Admins cannot make any changes or take any actions on behalf of the user. Admins are blocked off from seeing surveys, private 1:1 notes and notes to self.